I've been working with some fantastic designers and makers to develop 8 puppets for the Young Vic's production of Wild Swans. 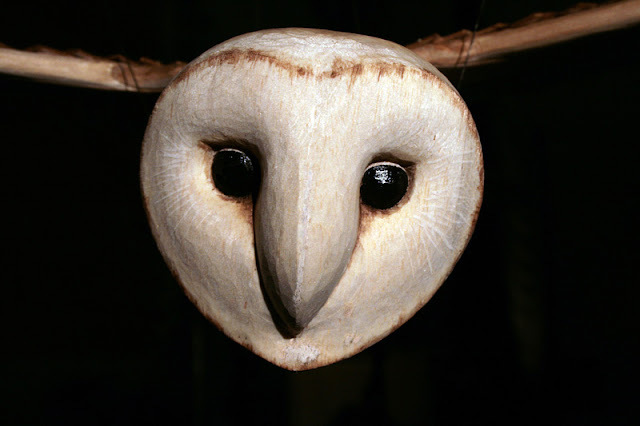 I don't know if we're allowed to release any photographs yet so for now here is an amazing carved barn owl puppet by Jan Zalud, who I've had the pleasure of working with for this project. Check out more of his wonderful work at janzalud.co.uk. Also A Very Old Man with Enormous Wings, the current christmas show at the Little Angel Theatre is receiving some amazing reviews! Its's on until January 29th, so please go and see it!! !